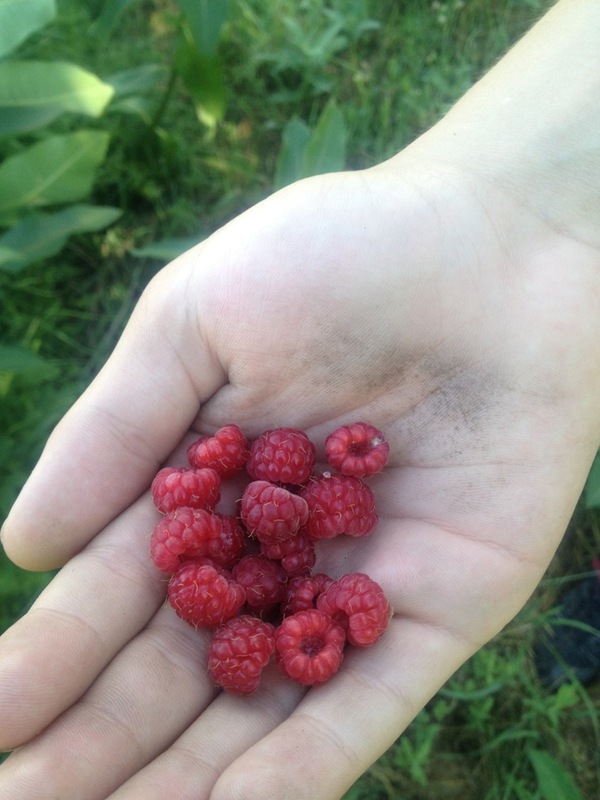 500 Kindnesses Ride Day 7: Thank You, Google! 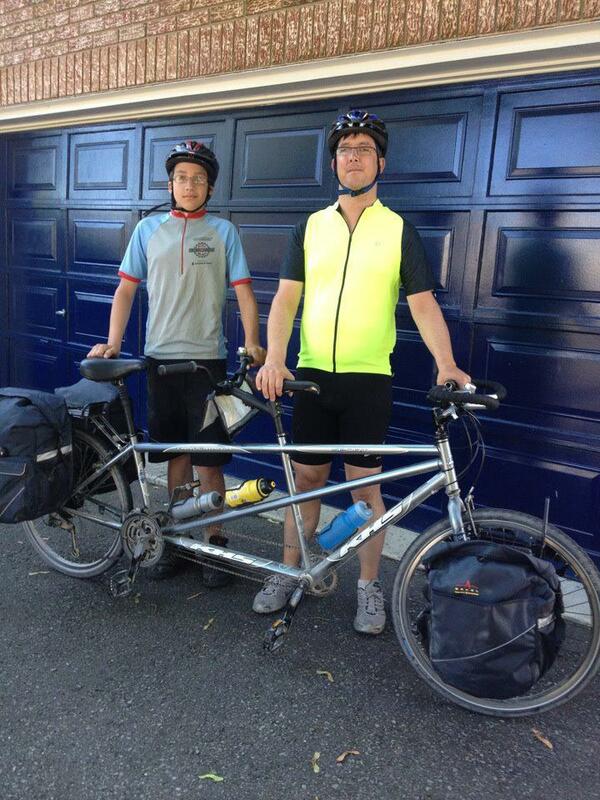 In 2012, Daegan and I embarked on our longest ever bicycle tour: 500 Kindnesses. This project was treated like a charity bicycle ride in that we asked for “sponsors” to support us. But instead of sending money to a charity we asked them to perform a random act of kindness for someone. In the end, over 1,000 pledges were received. Our ride would take us from Toronto, northeast to Ottawa and Montreal then south through my home state of Vermont, eventually ending up in New York City. The trip was made on a tandem bicycle as Daegan was still young (only 13) and less confident cycling on busy streets like we might encounter in the major cities we’d pass through. Or perhaps, if I’m honest, I can say that I was far more nervous than he was and having him riding the same bike made me feel more comfortable. Over the next several weeks I’ll be posting original entries from the trip. Our time in Ottawa was packed with rest and relaxation. I got to sleep late, spent the morning doing a bit of writing and catching up on email and having a few leisurely coffees. Daegan, who stayed up late playing Minecraft with our host’s son who was about his age slept even later than I did. Once he woke up, we headed out to have a bit of fun. Entering the Diefenbunker. Had it been put to actual use, those who went down this passage would stay indoors for up to a month, and resurface to the unthinkable. 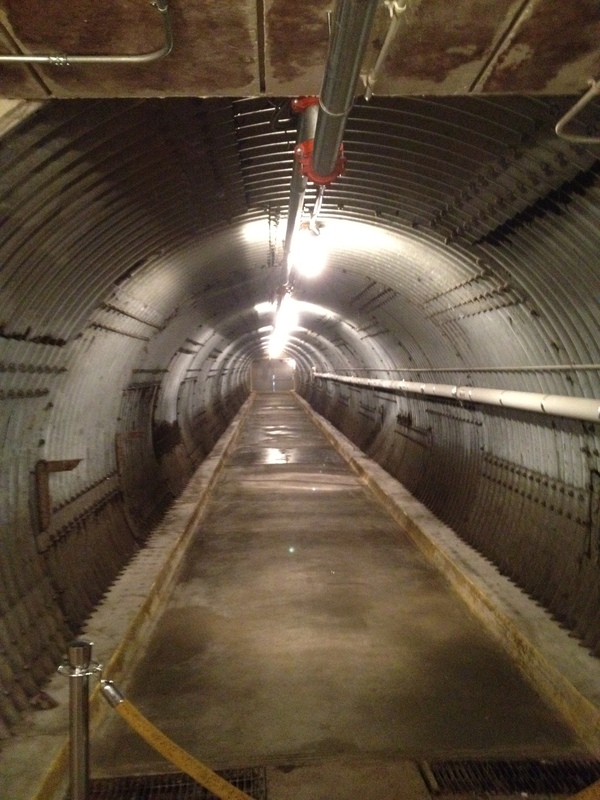 The bunker has been repurposed as the Canadian Cold War Museum. For me it was a reminder of a time I had forgotten. While North Americans have what I think is a relatively high degree of fear about any number of things from terrorist attacks to pandemics to peak oil, to me the idea of “Mutually Assured Destruction” scared the living daylights out of me. It was scary to think that we spent so much time certain that we were dangerously close to a war that could have a huge effect on us no matter where on earth it happened. Daegan found it both interesting to learn a bit about the history of the cold war, but also as he is a bit of a fan of post-apocalyptic and dystopian fiction, both reading and writing, he also found it pretty inspiring. Between seeing this and passing a few nuclear power plants along the way he began formulating an alternate history of southern Ontario and at this point has started to build maps in Minecraft complete with in-game radio stations that play music and voiceovers from survivors. After the Diefenbunker we went out to the movies to see Abraham Lincoln, Vampire Hunter – a delightfully light film – just the right sort of relaxing escape we needed after revisiting memories of a time when I worked with classmates on the Nuclear Freeze Movement and notes went home from school urging parents to prohibit their kids from watching The Day After as it was a bit too intense, and perhaps a bit too real for us at the time. 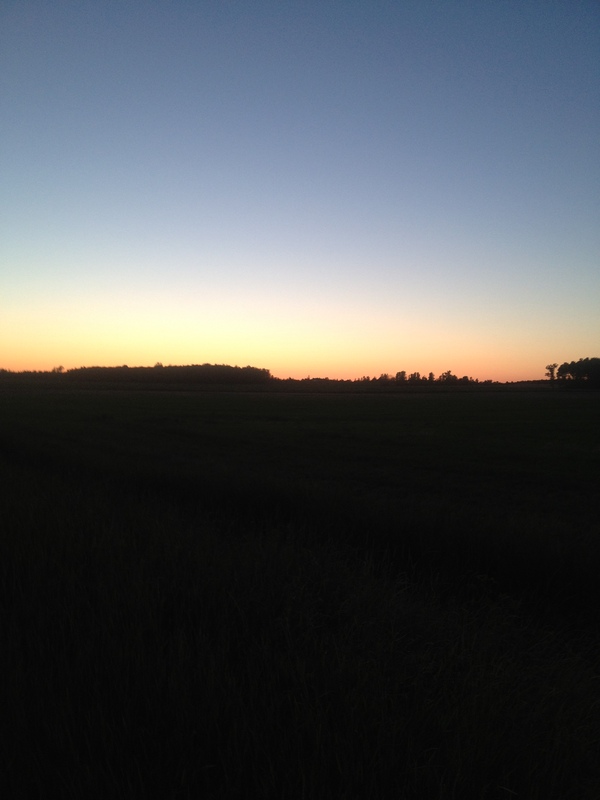 After a dinner out and a bit more relaxation we went to bed a bit early, our longest scheduled ride ahead of us – close to 121 kilometres (75 miles). The next morning started with our usual routine of packing our bags, filling our water bottles and having a big breakfast. Today we had chocolate chip pancakes, bacon, coffee, and orange juice. A delicious start with loads of carbohydrates to give us the energy we would need to get through the day. All packed up and with the bike loaded we set off eastward, our first border crossing ahead – this one between Ontario and Quebec. Our hosts took this picture of us just before we left for Quebec. The day was absolutely gorgeous and we rode along the Ottawa river for the first few kilometres before heading out of town, first through some rather desolate suburban industrial parks, and onward into the country. Eventually we found what would be our companion for the next 104 kilometres: the Prescott-Russell Recreational Trail. The trail was another stone-dust trail. Like the Trans-Canada on our previous day’s ride, it was a little slower than a paved trail but perfectly acceptable and with the added bonus that there were no cars allowed on the trail, very few riders, and hardly any road crossings. 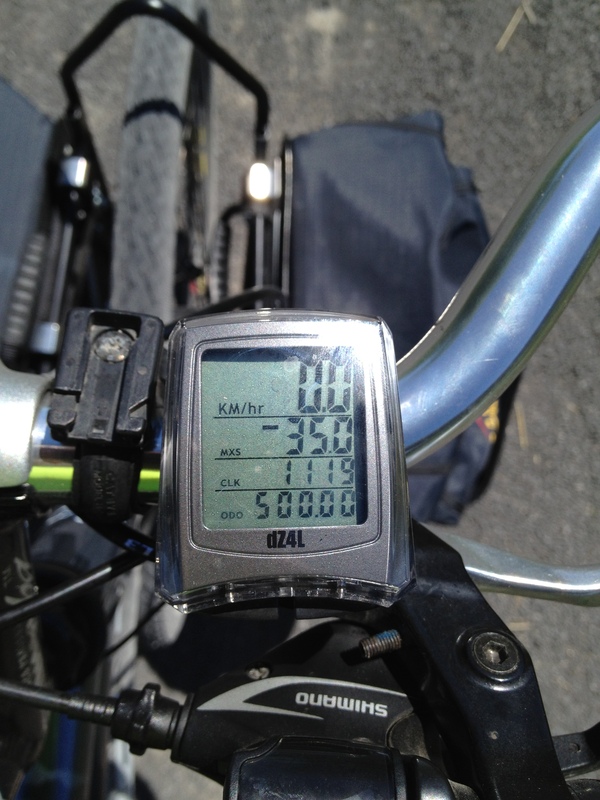 After a short time we hit our first mileage landmark – 500 kilometres. Between Ottawa and Rigaud, Quebec, there were very few places to stop. Our first opportunity was in the early afternoon in Bourget. Though we were in Ontario the town felt very much like Quebec with French being spoken in town far more than English from what we could see. We stopped at a pizza place and ordered a pizza to share since they didn’t offer slices and went over to the local grocery store to replenish our snacks. 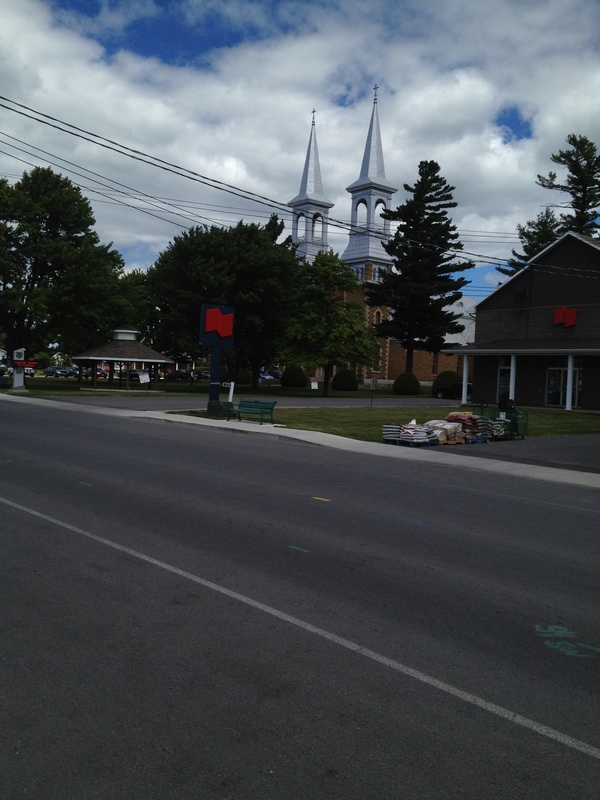 While we were in Ontario, I tend to associate church spires like this with towns in Quebec. Fully stocked we returned to pick up and eat our pizza, sitting on the lawn next door to the pizza shop. Once we finished we went back in to the pizza place to refill our water bottles at the tap or in the washroom as we usually do. This time, though, they told us to just take all the bottled water we needed – especially nice as it was all refrigerated. Things began to get a bit more challenging as we approached early evening. First we noticed that we were running low on water. We carried 5 bottles and we each had only about half of one left. We were also getting a bit hungry. It had been 100 kilometres since we left Ottawa, and quite some time since our pizza earlier in the day. At the same time the trail was getting a bit more challenging as the surface had a bit more of the fine gravel on it in places than usual. The result was that not only did we have a bit more resistance, but sometimes, when you didn’t expect it, one or both tires would go into a skid and I would have to wrestle the handlebars to make sure that we didn’t fall. Finally, though, we got to the main road leading to Vankleek Hill – the fist reasonably sized town we’d seen since lunch. And so we took a 3 kilometre detour into town to see what options there were. The first option, a grocery store, was just closing as we pulled up. With little water and not much food I found it far more disappointing than it should have been. But we trundled onward, soon finding out why it was called Vankleek Hill. Fortunately, though, at the top of the hill was a family restaurant where we each had a large meal and were treated to tons of water. It took a surprising amount before I was satisfied. Finally, though, about 7:30 PM, we were finished and as we were running late, I sent a quick text to our host for the evening: “Running a bit late, 30 KM or so to go should be there around 9:00” before hitting the trail again. About 15 kilometres further down the trail in St. Eugene, Ontario, still another 14 kilometres from our host’s house we saw something a little disturbing. A simple sign that read: “Thank you for riding the Prescott-Russell Recreational Trail. Trail Ends.” Meanwhile, we still had a good distance to go. And not only that it was getting close to sunset. However, the good news is that across the road from where the trail ended, a trail continued onward – right where Google said it would be. We decided to continue onward. Maybe Ontario’s portion of the trail ended and now that we were entering Quebec the trail would continue under their maintenance. After about 500 metres we could tell that this wasn’t the case. The trail looked a lot like the Millenium Trail we saw on Day 3. And when we stopped we found that the bugs were similarly distributed there. Looking at our iPhone we saw that there was a main road to get there – it was about 5 kilometres farther but all paved. I opened our bag and got out our lights and we had our next bit of bad news. The taillight had turned itself on sometime in our ride and the batteries were dead. Meanwhile, the headlight worked beautifully but unfortunately as we have several headlights at home with several different brands, I found that I grabbed the wrong light for the mount on my handlebars. We were stuck with the trail for better or for worse. 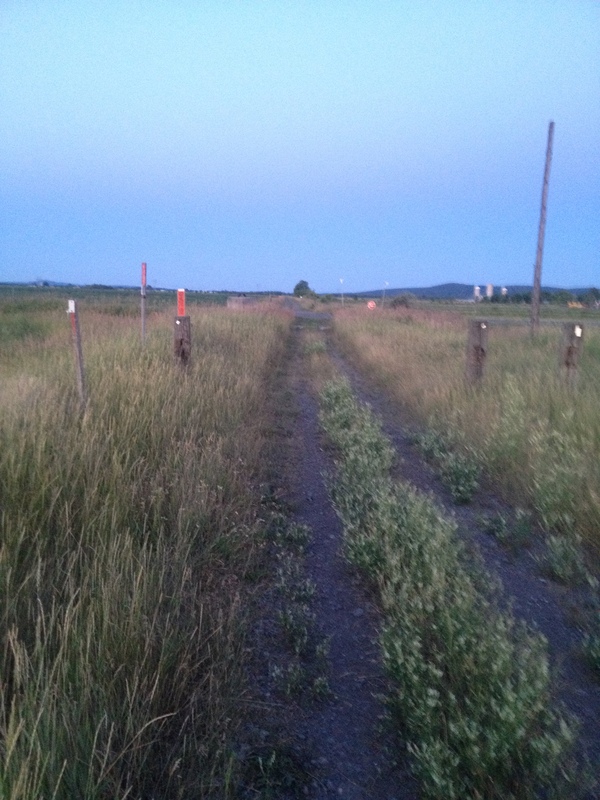 After a couple more kilometres, the trail worsened and looked less like a recreational trail and more like an old railbed whose only improvements were to remove the ties and rails. The trail that Google sent us down looks less and less bike-worthy by the metre. And meanwhile, the sun is getting much lower in the sky. Despite the difficult situation we were in, the beautiful sunset was not lost on us. With about 2% left on my iPhone’s battery I sent another text to our host at about 9:00 PM saying that the trail was looking really bad and we were going as fast as we could but weren’t sure when we’d arrive. Before we started again we used a couple of cable ties to attach the headlight to the handlebars so that we could see where we were going. However, we shouldn’t have bothered with the effort. After only a few more metres, the quality of the trail became so poor with all of the loose gravel that we could no longer ride. With about 8 kilometres to go (5 miles) we had to walk the bike, all the while pushing a loaded bike weighing close to 100 lbs through the gravel. After riding over 100 kilometres in the hot sun, after being on the road for 14 hours. Now you might think that this would be discouraging. Some might think that there would be great complaints from one or both of us, and regrets for our not anticipating this issue in the first place or being so stupid for not having brought usable lights. You might have thought that we’d be a bit scared for what was going to happen next when we heard the pack of coyotes to the west. But instead something else happened. We had a fantastic time. The night was really clear and we got to see more stars than we’d seen in years. As the mosquitoes circled, I put on bug repellent, and Daegan put on a stereotypical televangelist’s voice describing what we needed to do in order to keep the mosquitoes from biting. At some point the televangelist morphed into Captain Kirk who also had lots of silly advice for how to avoid being bitten. (I blame our proximity to William Shatner’s hometown of Montreal for this). Goofy songs were made up, conversations were had between characters of audiobooks that Daegan hadn’t listened to in 8 years, and in short despite (or because of) being near exhaustion, we had one of the best days of our trip so far. Eventually we saw lights of houses ahead. And after a while, the lights got more frequent. Finally, we found ourselves at the road google told us we’d arrive at. And so we turned into town and made our way to our host’s house. Made our way sheepishly, I should say, because it was now 11:30 PM. We were four and a half hours later than we had expected we’d be. And not only were we sheepish, we were exhausted. It had been about 16 hours since we left Ottawa that morning. Our odometer, with the side trips we’d made to get lunch and dinner, now registered 130 kilometres (81 miles) that day. Not only was it a longer ride than any that Daegan had done, it was the longest bike ride I’d ever done. We were exhausted, but there was one more bit of bad news ahead: our host had to be out the door by 7:45 AM the next day which meant we also had to be out the door by then giving us about 7 hours before we had to get up and get ready to leave. But like you may have experienced on a long road trip during which you are working very hard to stay awake for several hours, when you actually do get to go to sleep, your mind won’t let you. And so, I lay in bed for easily 2 hours. I think I finally drifted completely off to sleep around 2:00 AM – just under five hours before we’d have to wake up and prepare to ride to Montreal.